Snowden leak reveals Europe's role in mass surveillance programs. 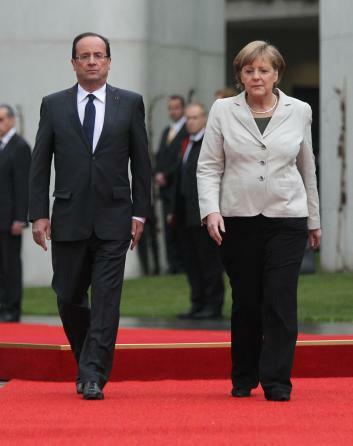 European leaders are fuming over the scope of NSA surveillance. But France, Germany, and other countries are far from innocent bystanders when it comes to conducting dragnet spying, new leaks have revealed. According to documents passed to the Guardian by former NSA contractor Edward Snowden, British eavesdropping agency GCHQ has been working in close cooperation with a host of European nations to covertly tap into citizens’ communications. German, French, Spanish, and Swedish intelligence services have “all developed methods of mass surveillance of internet and phone traffic over the past five years” alongside GCHQ, the newspaper reported Friday. But though these countries may not be engaging in surveillance that is as broad and aggressive as the programs operated by the United States and the United Kingdom, it is clear that they are playing at least some sort of contributory role. The documents cited by the Guardian reportedly say that GCHQ has been assisting Germany’s secret services to push for broader surveillance powers. GCHQ describes Germany’s federal intelligence service as having “huge technological potential and good access to the heart of the internet.” France is described as a “highly motivated, technically competent partner” who works with GCHQ on a “cooperate and share” basis. Spain’s spy agency CNI is described as being “a very capable counterpart” that excels in the field of “covert Internet ops.” A document apparently dated from 2008 stated that the Spaniards had secretly collaborated with an unnamed British telecommunications company to help monitor the Internet. GCHQ also works closely with Sweden and the Netherlands, the files apparently show.